Jawa 300 is literally identical to the original Jawa. With a few modern fits and finishes, it still displays the authentic retro-classic roadster look. After heavy public demand, Classic Legends has now equipped the Jawa and Jawa Forty-Two with rear disc brake and dual-channel ABS setup. Single-disc brake with single-ABS is also sold. In its original avatar, it won many rallies and race events. It was a lightweight two-stroke big with a distinctive and loved exhaust note. However, with stricter emission norms kicking in, the motorcycle had to be stopped in India. To assure all the people living with its memories, the new model looks very identical to the original model. The styling bits are the same with the proud ‘Jawa’ logo running over the bulbous fuel tank. Yes, it gets a few upgrades like disc brakes, ABS, BS-6 engine and modern suspension. However, the layout and design work remains true to the gills. Classic Legends has launched 2 more models, include Forty-Two and Perak. Jawa Forty-Two is a modern version of the original model with bits of modern touches. Perak draws inspiration from the original Perak 250, which was available in the 1960s. Perak was one of the first Jawa’s and like the current Perak, was a true Bobber. The prices start off at Rs 1.55 Lakhs for Type 42, 1.64 Lakhs for Jawa and 1.89 Lakhs for the Bobber. Also Read: Jawa Motorcycles launches 3 new bikes in India! The Czech bike brand made it to our shores back in the 1960s when it was known as the Ideal Jawa. Back then, the bikes were manufactured in Mysore, Karnataka. It started off with original Jawa, which was in production for a decade. During that time, it started garnering its fan. 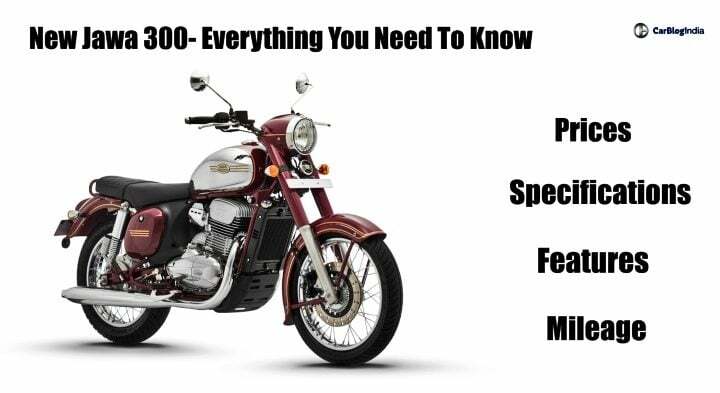 Later, in the early 70s, the names were changed to Yezdi, which created a landmark in Indian two-wheeler history. Yezdi came in many variants and different capacity engines. After a successful stint for 20 years, the brand went out of production in India in 1996. Till now, these bikes are preserved and not sold easily. If you luckily find one for sale, expect to shell above Rs 50,000 for buying it. If you find a restored one, it will go for Lakhs. Jawa is priced at Rs 1.64 Lakhs (ex-showroom Delhi). For dual-ABS variant, you have to pay Rs 8,942 extra. The prices come near to the Classic 350. 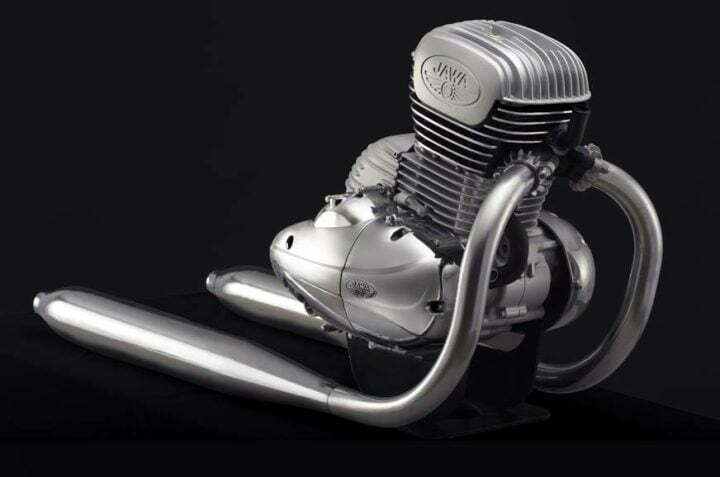 Jawa uses a newly developed BS-6 compliant 293cc liquid-cooled engine. This engine produces 27 BHP and 28 Nm of peak torque. The power figures are higher than that of Classic 350. This engine is not derived from Mahindra Mojo, which is confusing many people. For transmission purposes, it uses constant mesh 6-speed gearbox. It gets a flat torque curve, which offers generous torque in mid-range. The new bike is likely to have a maximum mileage of 35 KMPL. With the fuel capacity of 14 Litres, you can expect a riding range of up to 450 kms. This bike has a claimed top speed of 130 KMPH. Jawa is nostalgia with an upgrade. If you look at it, you might not see any major differences between the first generation and the new one. The styling cues include the wraparound headlamp cowl, lots and lots of chrome highlights, twin-pea shooter exhaust muffler, the toolkit box and single pod speedometer. Of course, the bulbous fuel tank with Jawa inscription is the main highlight which revives the old memories. Other design cues include the chrome dipped rear mirrors, waterfall-type rear light and customizable fuel cap. Out of the three colours, the Maroon one makes it look like the original one. The bike gets a seat height of 765 mm and a wheelbase of 1369 mm. The Roadster weighs 170 kgs in total, which is a bit heavy on the side. The fuel tank capacity is 14 Litres. The motorcycle will squarely go up against Royal Enfield Classic 350. Classic 350 also remains retro to its roots with similar retro styling. Despite having a bigger capacity engine, Classic 350 produces less power and torque. Back in the 1960s and 70s, both the bikes use to go against each other as usual. So, here, the feud continues as one of the most selling premium bikes in India, now has a legend back in the game. 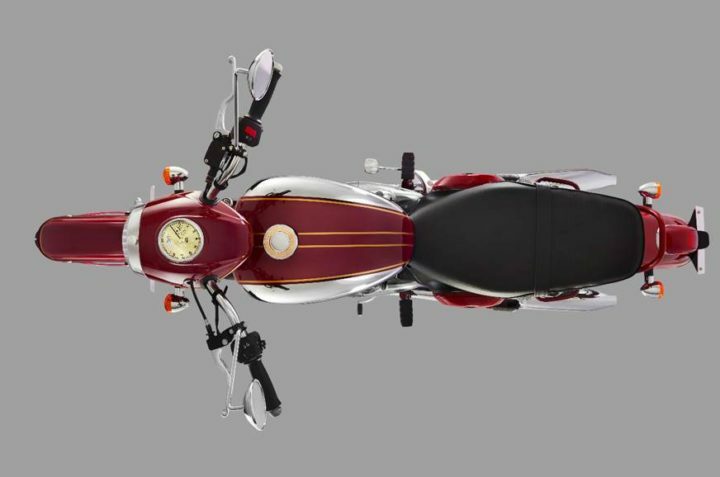 Classic 350 starts at Rs 1.39 Lakhs and goes up to Rs 1.62 Lakhs (ex-showroom prices).